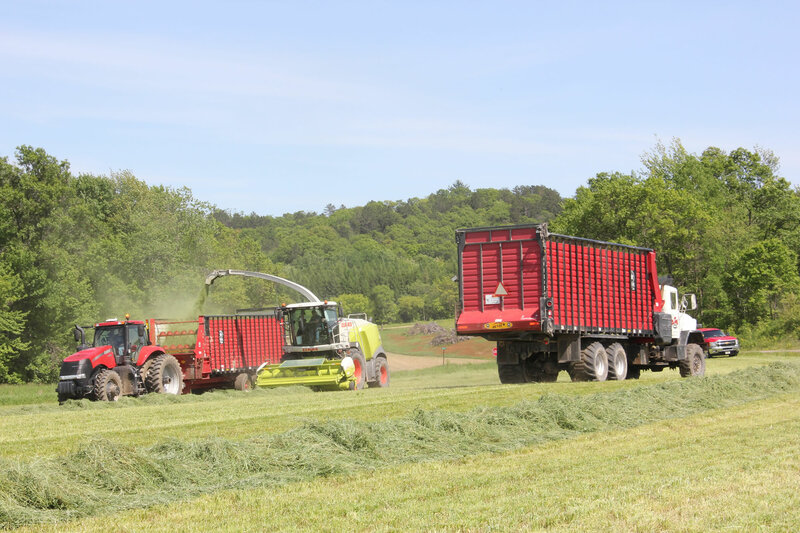 The Meyer RT500 Series Front Unload Forage Box features a 7'5" inside width, all steel frame, high speed - variable drive, HD bevel geardrive and removable roof. It offers more capacity, more speed and better performance than the others. RT500 model is the perfect match for a small to mid sized operator looking for a high quality convention forage box. This unit comes standard with PTO drive but is available with no roof, hydraulic drive and more. 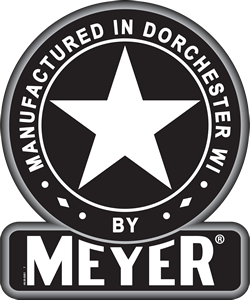 For longer models or more options check out the Meyer RT600 Series. HD Steel Frame with tubular floor supports on 24" centers. 7'5" inside width for maximum capacity! New integrated top rail system eliminates the need for side supports when roof is removed. Variable Speed RT belt drive standard equipment - featuring our new, high-efficiency bevel geardrive system which offer cleanout speeds up to 17' / minute. New RT Auger Drive feature consistent auger speed based throughout the range. HD 2" main drive shaft dwarfs the competition. It features machined steel sprockets and 667H pintle aprons - Tuff Stuff! 18" diameter drum augers in a tapered formation provide a smooth mat of feed to the discharge conveyor below. Much smoother than spiral beater arrangements in haylage! 24" wide pintle chain apron provides an even discharge to your blower or bagger without the buildup of roller chain conveyors. Hold-downs and fold-down conveyor extension are standard. Feather start controls including cross apron / augers / main apron. No jaw clutch starts like other brands! Meyer RT500 Forage Boxes come standard with a marine treated plywood floor (runs full length). A 6" taller roof package is available for ease of filling and additional capacity.